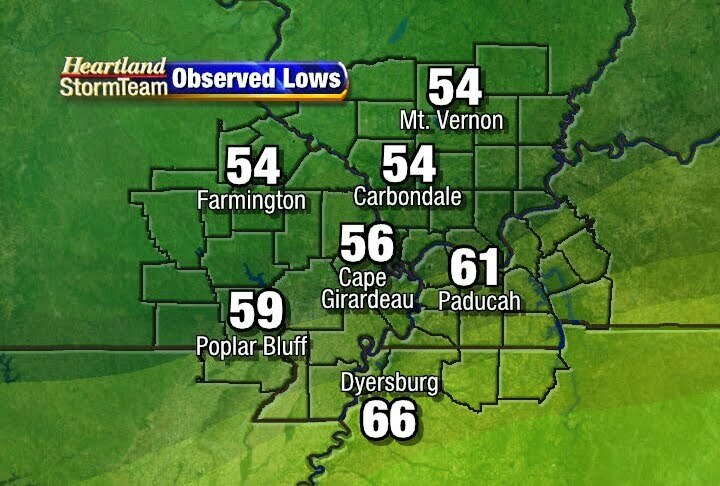 Take a look at lows from Sunday morning. Unfortunately, it is probably the last time you will be able to keep the windows open and the air conditioning turned off for a couple days. 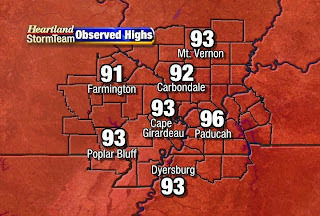 This afternoon we saw more heat and humidity. 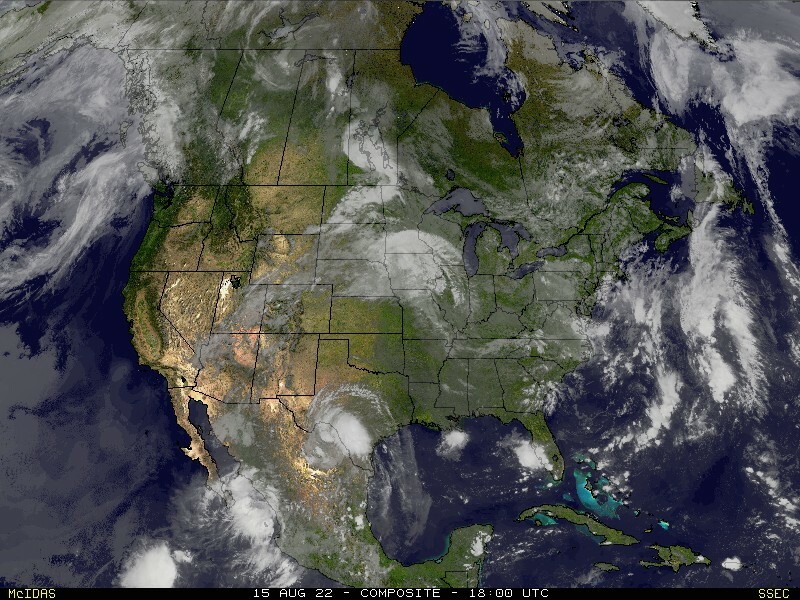 The combination of the two allowed for some cloud development and even a few showers and a thunderstorm in northwest Tennessee and western Kentucky. 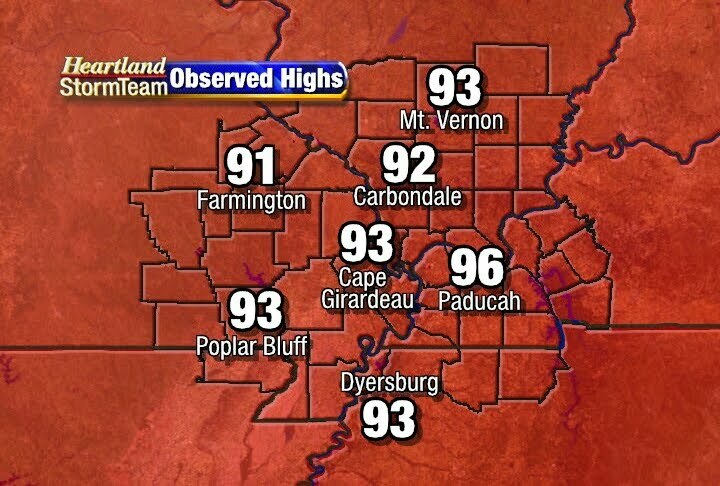 The interesting thing to note about today is that we tied a record today in Cape Girardeau, Missouri. The temperature spread from this morning to this afternoon was 37°. 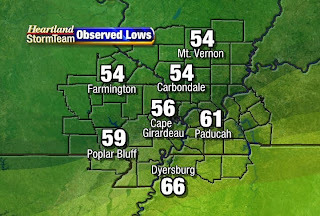 That ties the record maximum temperature range for this date set in 1967. 10:25pm Weather Update: Its Still Hot!